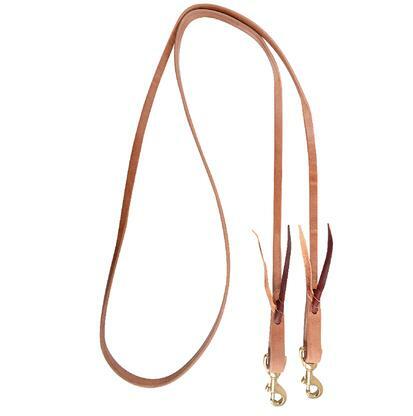 5/8" Roping Rein with double snaps. 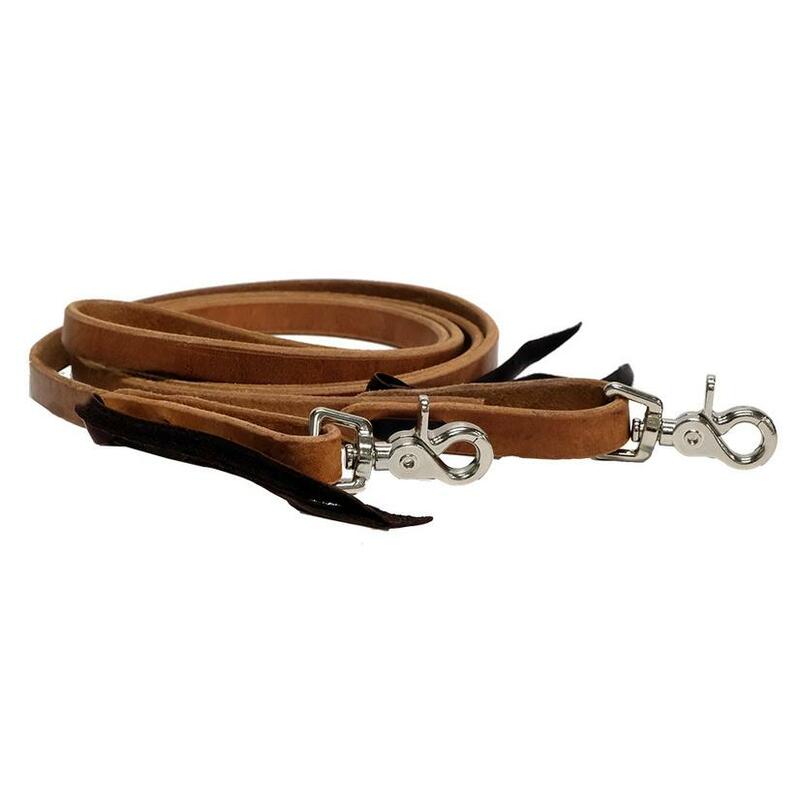 Brown harness leather. 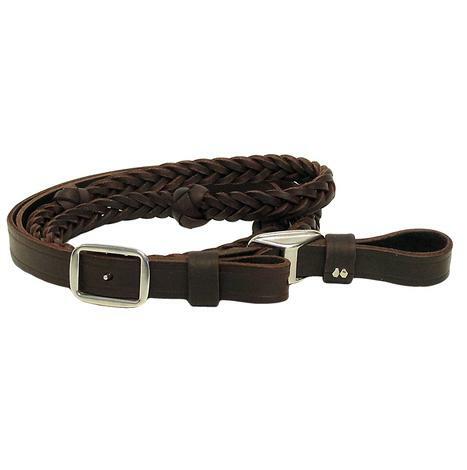 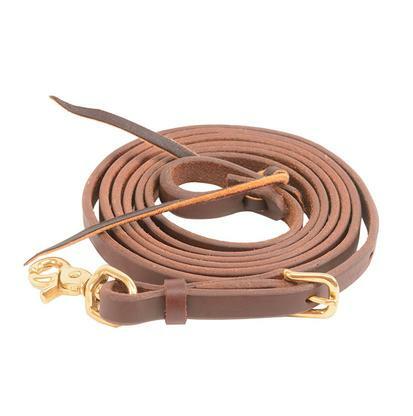 Martin 5 Plait Latigo Leather Barrel Reins with Knots 7/8"